What means Big Data to you ? Whether you are an insurance provider, a bank, an advertising company, or any company of medium-to-large size, you need to consume and exploit huge amount of data internally. You would also benefit from analyzing additional, external, data which are available to you, but can be difficult to collect and process in a simple and meaning way. As an insurance company, you might want to intercept Facebook updates of your clients who publish skiing activities while receiving an insurance for a broken leg. As an international bank, you might want to monitor the GPS location of mobile transactions to intercept two transactions made on the same personal account at the same minute, one from South Africa, and the second from China. As an advertising company, you might want to monitor, analyze, and react accordingly to the Tweets on a particular theme, in real-time. Similarly, as a manufacturer (for example a shoes or a car manufacturer), you might want to monitor discussions and complaints on specialized forums to gather data regarding to quality of the products, understand which parts / models breaks more often, in order to improve the quality of your manufactured products (using, for instance, the 6 sigma model). As a software company, you might want data regarding the real utilization of each function / feature in your products, in order to make educated decision, and pro-actively improve the quality and focus the development accordingly (using, for instance, the Agile/Scrum methodology). As a political party, you might want to have much better and much more granular information regarding voting intentions and more especially to be able to locate (and convince) undecided voters that are most likely to accept your political opinions (for example, if your party wants to abolish the 2nd amendment, there’s probably no chances to convince an individual who renewed his NRA membership last month, who’s favorite movie is Rambo II, and who just bought yet another rifle to add in his 20 pieces living room collection). And to some degree, any company would benefit from a better understanding of their clients’ needs, satisfaction level, profiles, … you name it. The idea of using vast amount of data, from various sources, such as internal company records up to social media activity. Since almost a decade, millions of people openly share their profile (Facebook), share synthetic information (Twitter) to the world, and publish opinions and concerns on various blogs, forums, and the like. Big Data is a logical extension of this trend, as an exploitation of the data generated by this new mentality, mentality that can be summarized by the openness and visibility of individuals’ profiles and opinions. So … Big Data = Big Brother ? Yes, in a way, in a Big way. And as any evolution in IT, some companies will make use of these new trends and dynamics, some will stay behind, will you ? Is the length of your inline LOBs optimal ? From DB2 v10, you can specify that a portion of a LOB column will be stored in the base TableSpace. This improves the performance of applications that access LOB data, because it reduces the need to access the auxiliary LOB TableSpace. 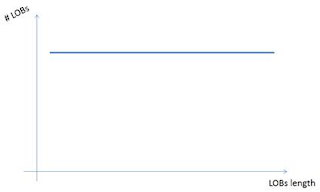 That also enables the creation of expression-based indexes on the inline portion of a LOB column, which can help improving the performance of searches through a LOB column [more info on IBM website]. Inline LOBs means that, for LOBs that are less than or equal to the size of the specified inline length, DB2 will store the entire LOB data in the base TableSpace, so more or less as if it would be a VARCHAR. However, for LOBs that are bigger than the inline length, the inline portion of the LOB resides in the base TableSpace, and the remainder of the LOB in the LOB auxiliary TableSpace. In order to use this feature, assuming you are currently using standard LOBs columns, you can alter existing LOB columns to become inline (using an ALTER TABLE statement). 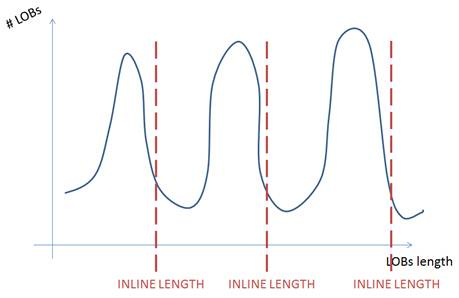 Let’s examine 5 types of LOB length distributions that could exist in a LOB column. 1st case : almost all LOBs data are small, limited in size, with a few exceptions. 4th case : the LOBs length follow a normal distribution (Gauss). 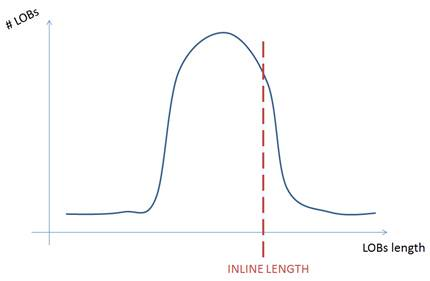 This case might be more common, but essentially (if you forget about the small amount of low length LOBs on the left of the graph), you end up with a situation very similar as the 1st Case, where you will want to set the Inline LOB Length very close to the end of the Gauss curve. 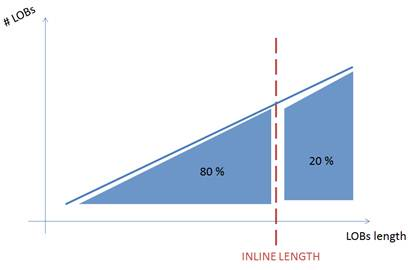 You might also use a 80 / 20 percent approach. 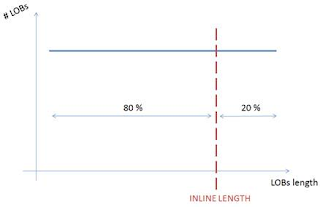 For this case, it is fairly complicated to provide an educated suggestion as to where to set the Inline LOB length “threshold”. 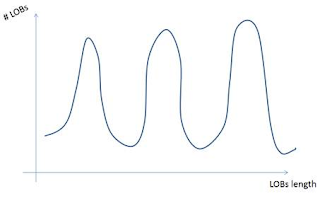 In fact this looks like a succession of Gauss curves (4th case), so you could setup the threshold after any of these curves as illustrated below. 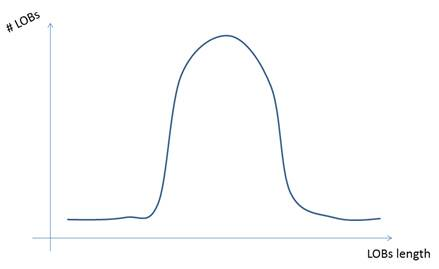 Furthermore, you might want to analyze which data get accessed more frequently, an thus determine after which curve to place the threshold. Hopefully, this case will not be that common in real environements. Here the sample SQL statement that I used to visualize the length distribution of a LOB column. 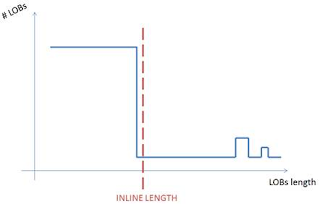 It simply categorizes the various lengths of the LOBs into LOB length ranges. 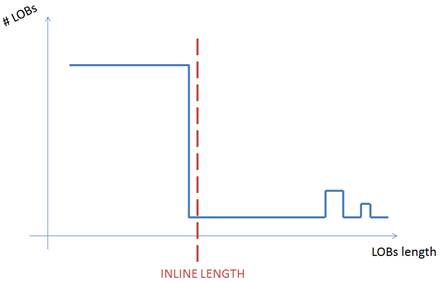 When exporting the output of the query into Excel, one can make a simple graph representation of the LOB length distribution and visualize if the INLINE LENGTH value is properly set. The analyzes shows that we are pretty much in the scenario of 1st Case, which I would assume to be the most common one anyway. 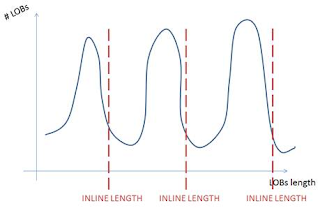 The Inline LOB Length “threshold” seems adequately placed, for this LOB column. 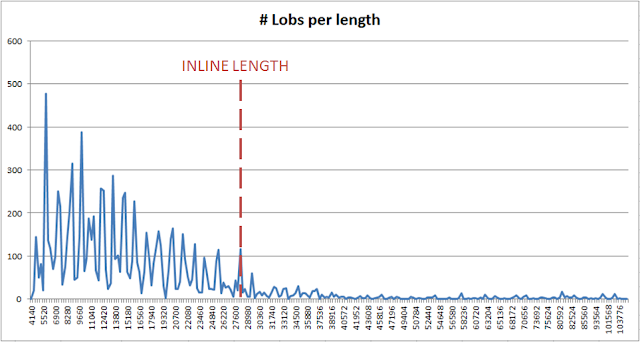 The nice thing about this technique is that it is re-usable, and that the same query can be ran over time, when the LOB data values evolve, monitoring the LOB length distribution, to make sure the INLINE LENGTH value is still optimal. A couple of weeks ago, I attended a DB2 for z/OS technical conference and one of the sessions focused on tuning SQL statements and other topics related to DB2 performance. For the records the presentation name was “DB2 10 for z/OS: selected performance topics” and the presenter was Cristian Molaro (Independent DB2 Consultant, IBM Gold Consultant & IBM Champion). Anyway, I learned that there is a notable performance impact when doing a simple and dirty SELECT * compared to selecting only the specific columns you need. There was no benchmarks however, so I thought it would be a good test to perform, create some simple tests with various tables and measure the impact of this SELECT * bad coding practice. 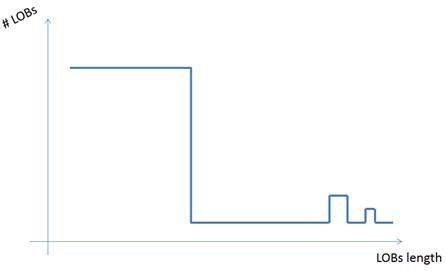 First thing to mention, the performance degradation is not visible if we are dealing with small tables (small number of rows). My tests with a 1000 rows table did not show any difference. But when I performed tests on a more realist size of table (1,000,000 rows), I did notice meaningful differences. 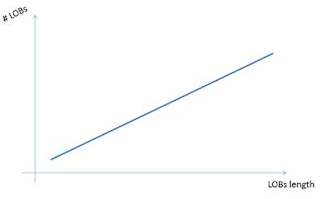 The below graphs represents the results of a performance test (CPU time, and Elapsed time) for a 1,000,000 rows table, residing in a DB2 v10 New Function Mode (NFM) subsystem. This represents a fairly simple table, with 7 columns only (integer, dates, and timestamps), and compared a SELECT * with SELECT COL1, COL2. The results of this test speak for themselves, there is a 70% overhead of CPU time consumed, and a 17% overhead of Elapsed time spent when using the SELECT * statement, i.e. when retrieving all columns, some of which are probably not needed by “the application”. Other tests performed show similar results, granting that obviously the overhead of SELECT * varies depending on the number of columns specified in the SELECT COL1, COL2, … and the size of the table (number of rows). In a nutshell, if you are a DB2 application developer and you care about your applications performance : do not use SELECT * statements ! 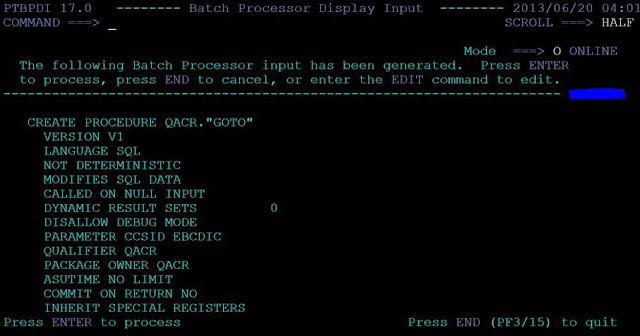 If you are a DB2 administrator, you may want to share this post with your application developers, and / or look for products that can detect the use of embedded SELECT * statements running in your DB2 environment. IBM claims better performance “out of the box” when upgrading to DB2 version 10. Some additional manual steps are however recommended to gain additional performance of your DB2 application and/or environment. One of which is about Native SQL Procedures. 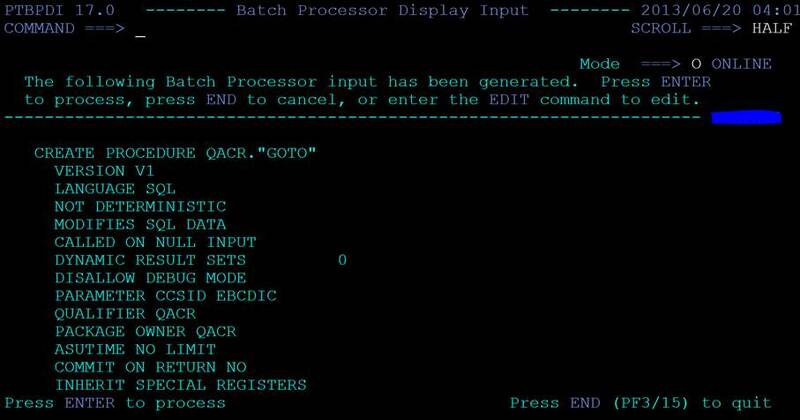 DB2 version 9 introduced a new type of stored procedures called Native SQL Procedures. These procedures execute in DBM1 address space, and provide SQL performance improvements due to less cross-memory calls compared to external stored procedures. Several improvements were done in this area in DB2 version 10. IBM however mentions that the response time improvement (up to 20% improvement) can be achieved only if the existing Native SQL Procedures are dropped and re-created. That is, if you had created Native SQL Procedures under DB2 version 9 and upgraded to DB2 version 10, you might want to DROP/CREATE those. -- When was DB2 upgraded to v10 NFM ? All what’s needed is to update the SQL, add the DROP syntax and a couple of COMMITs, and the job is done! I hope that this post is useful to you. 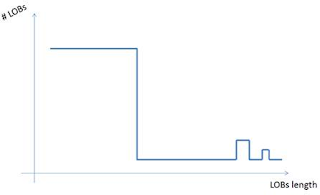 If you used the technique described above, I will be glad to read your comments, especially if you noticed and quantified performance improvements when dropping and re-creating your Native SQL Procedures! Although IBM does not provide an exact schedule for their new versions of DB2, one can guess that DB2 v11 will be available pretty soon, probably in Fall 2013. Indeed, looking at a the release schedule of DB2 over the last 15 years, you will notice that IBM releases a new version of DB2 consistently every 3 years, and that the support of each version lasted 8 years – with the exception of DB2 version 8, which had an additional year of support. Worth mentioning as well, it’s no secret that the IBM development labs transitioned several years ago to an Agile development methodology. This method which tends to fix schedule (date of delivery) over amount of features delivered, and tends to make new version delivery cycles very predictable. DB2® 11 for z/OS® expands the value delivered to your business by IBM's industry-leading mainframe data server in the following ways. Some of these features look very interesting such as the Extended RBA and LRSN addressing and the transparent archiving via IDAA. A word of caution: The following statements regarding IBM plans, directions, and intent are subject to change or withdrawal without notice at IBM’s sole discretion.